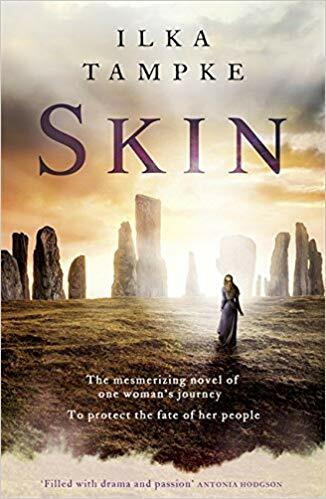 Skin by Ilka Tamke is the first in a fantasy trilogy set in Britain in the early 1st century AD. Ailia is a child without skin, which means she doesn’t know her place in the world. Rome is poised to invade and the Britons are divided between those who would fight and those who would make peace. They are waiting for a spiritual leader. Ailia undergoes several trials and may be the one they are waiting for. There’s quite a bit I liked about this book. The cover is beautiful and is a good representation of what the book is like. It’s in first person and set entirely in Ailia’s head, which means it’s not always clear what is going on because Ailia is young and doesn’t know who can be trusted. The worldbuilding is really great and the setting is brought to life with a mystical touch. But, I wasn’t hugely engaged with the characters and the story. The ending sort of fizzled out. It is the first in a series, but even so, the ending felt as though the story just stopped, rather than coming to any resolution, and unfortunately didn’t set up any desire for me to find the next book. 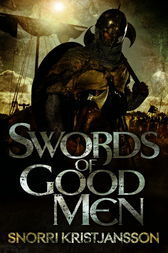 The cover says it would suit fans of Game of Thrones which I think is a bit misleading. If you’re looking for hard-bitten political, dynastic fantasy, this is not it. Skin is an emotional, mystical story. It’s worth a read if that’s your cup of tea. Sentenced to death for innovating in a country that tightly controls its industry, an engineer, Ziani Vaatzes, escapes prison and flees to an enemy nation. Outside the Republic the warring duchies are much less technologically advanced, a situation the Republic desires to continue, so Vaatzes offers one of them his knowledge to build war machines. As the Republic is prepared to go to war to recover its errant engineer, the Duchy is in no position to refuse. But Vaatzes motives are more complicated than that. As this is the first in a trilogy, exactly what Vaatzes is up to is not clear by the end of the book, but by this point there have been many switches and double crosses. Devices and Desires is a huge book, both in length (700 pages) and scope. Aside from Vaatzes there are a number of point of view characters and subplots, including a love triangle between warring duchies. It takes a little while to get going as Parker establishes his world but once it does I found myself quite reluctant to put it down. One aspect that annoyed me was the virtually entirely male cast of characters. Parker chose to write about highly patriarchal societies and I am tired of reading about them. I’d really like to read some fantasy that conceives of society in a different way. Recommendations please! That aside, I enjoyed it. 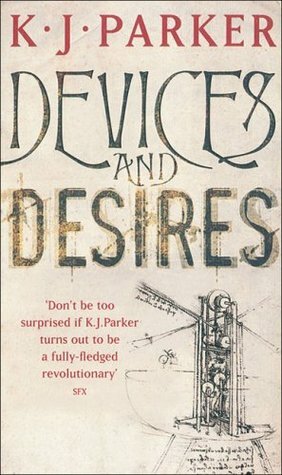 Devices and Desires is complex and Parker manages to keep the intrigue up right to the end. There’s more going on than is revealed, and it still isn’t revealed by the end of the book. I may at some point pick up book 2 to find out. Martha Macnamara comes to San Francisco to see her daughter, a genius computer programmer, only to discover she’s missing. At the hotel Martha meets Mayland Long, an ancient black dragon taking the form of a human in order to seek enlightenment. Mayland is enchanted by Martha and agrees to help her find her daughter, Elizabeth. This is, on the whole, a charming book. The first half somewhat more so than the second half. The set up, Martha and Mayland’s developing relationship, is delightfully engaging. Once the chase for Elizabeth starts, however, the tone of the book shifts. After a few clues are followed, and it starts to become clear what the mystery is, Martha is relegated to damsel in distress. Her ending seems unworthy of her character and is a sour note in an otherwise sweet tale. I especially enjoyed the descriptions of how Mayland responds to sunlight. This is one of the books given to me by my emigrating friend and I picked it out of a stack because of the cover. I like the picture of the dragon statue. Surprisingly, it matches the description inside the book. 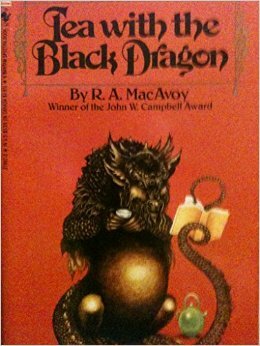 Tea with the Black Dragon is interesting and unusual and worth a read. 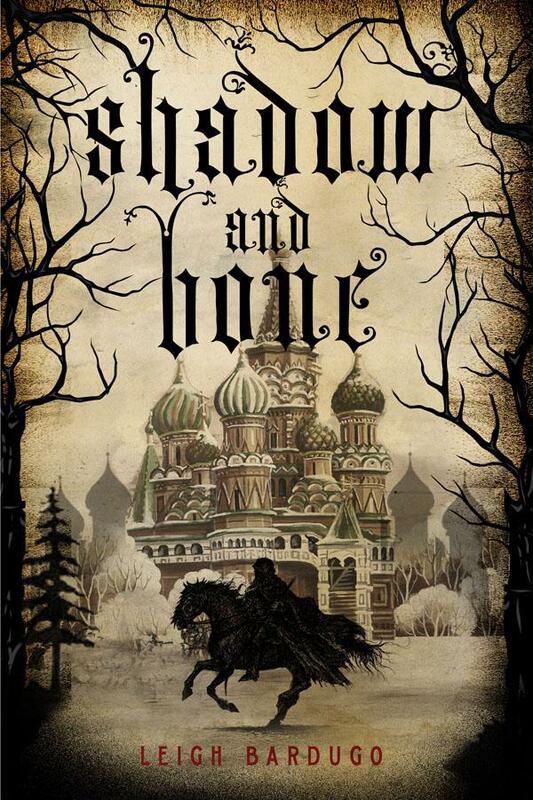 Shadow and Bone is the first in Leigh Bardugo’s Grisha trilogy. Alina Starkov is a scrawny orphan with little past and an uncertain future. As a conscript mapmaker in the First Army of Ravka she is sent across the Fold, a sea of dark magic that destroys all it covers. 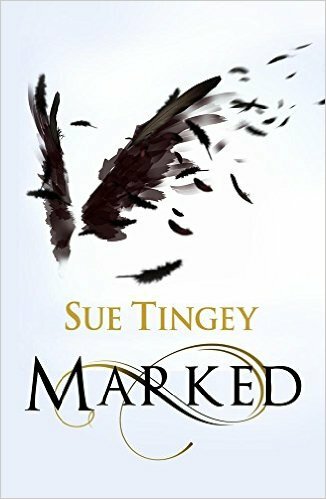 Her skif is attacked and, in the panic, Alina discovers she has suppressed her magickal powers. Alina is taken to the Darkling, the prince of the Grisha, and taught to use her powers. The first half of the book is pretty slow and full of frustrating elements. I’m finding insecurity and a lack of self-belief poor obstacles for making protagonists resistant to taking on the challenges presented to them. I know it’s completely realistic and that’s how people feel, but I’m finding it boring in stories. Or maybe it’s just boring if it’s not written well. There’s some cliched mean girls bitchiness between Alina and the more privileged of the other Grisha students. The Darkling is a one hundred and twenty year old magic user and appears to be captivated by Alina. This is somewhat unbelievable, given what we know about both characters, and I was happy to discover this was misdirection. I’ve read some reviews that suggest the Russian elements of the setting weren’t very convincing and I don’t know enough to judge myself. Alina’s immediate surroundings are well described, but the sense of the wider world was vague. I liked that Bardugo chose something different to inspire her fantasy world and nothing struck me as out of place. The second half of the book was much better. The conflict becomes much more meaningful and the pace picks up. Alina’s understanding of the world is flipped over and she is on the run. It’s quite tense and I found myself nearly missing my stop on a couple of occasions. It’s not the most skillfully written book but it’s not awful. It’s written in first person from Alina’s point of view but never gets right inside her head. I would rather it had been in third person. On the whole, though, I liked this. It’s a slow start but a cracking finish. I do like an exciting ending and I appreciated the twists in the middle. If you’re looking for a change of pace in your fantasy reading this could be just the thing. Fenrir by M.D. 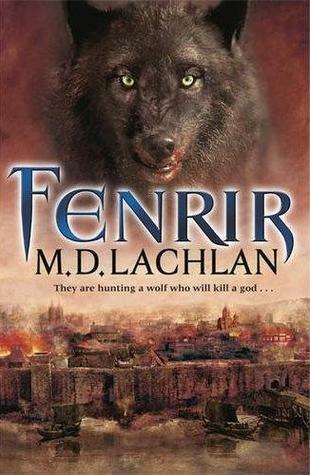 Lachlan is the sequel to Wolfsangel and is really the same story. I’ll explain what I mean in a moment. In Fenrir, a merchant is sent to bring a French noblewoman from Paris to Rus king Helgi because there is a prophecy that Odin will manifest on earth and trigger Ragnarok. The characters from Wolfsangel (Valli, Feilig and Adisla) are reincarnated in the characters in Fenrir, along with Odin and Fenrir, and it is not clear who is who. The merchant is accompanied by a mysterious warrior to protect him, as he is not the only one seeking Aelis, the noblewoman. The Vikings beseiging Paris also want her, as do two Viking shamans. Aelis has her own ideas about this, which is nice to see, and takes charge of her own destiny in a way that feels consistent with her Christianity and the early medieval setting. It’s a gripe of mine that writing good female characters in historical settings means giving them modern sensibilities rather than fully embodying that character in time and space. The characters are variously working for or against the manifestation of Odin and Fenrir, sometimes both. Lachlan manages to effectively convey a sense of confusion. None of the actors is sure what it is they are supposed to do and are wary of inadvertently bringing about the thing they seek to prevent. Fenrir has a different style to Wolfsangel. Initially, I missed the lyricism and the mystical atmosphere of Wolfsangel, but I was soon drawn into the story. The change in style reflects the change in setting and underlines that this is the second cycle of the myth. It is the same, but not the same. In the end, Ragnarok is averted, but Odin and Fenrir will continue to try to manifest and the story will play out over and over again, until one day they meet and the end of the world begins. I enjoyed this and I’m looking forward to reading the next two cycles.